One of Indonesia’s air force Hercules C-130 planes has crashed in remote Papua province in the east of the country, killing all 13 people on board. According to officials, three pilots and 10 other military personnel were on board. The plane was carrying food supplies from Timika to Wamena when it came down in mountainous terrain near to its destination on December 18. The flight had left Timika at 05:35 local time and was expected to land in Wamena at 06:13. 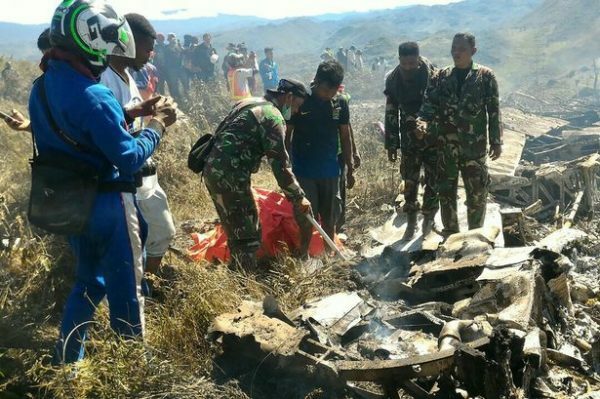 Personnel from the air force base in Jayapura, the regional capital, were on standby to assist the team at the crash site. Indonesia has a poor air safety record. In June 2015, the same type of plane belonging to Indonesia’s air force crashed near a residential neighborhood shortly after taking off from Medan. All 12 crew and 109 passengers on board were killed, along with 22 people on the ground.